Verdant vales decked with silver streams, cloud-kissed skies and the mountains serene! Let alone the Spring, the summers and monsoons in Sikkim are equally magical and mesmerizing. While the vast plains and the urban regions in India undergo the wrath of the summer sun and the torrential monsoon downpour, Sikkim offers you a much-needed break. Snuggled in the lap of the majestic Himalayas, this tiny mountainous state is a pilgrimage to the ardently curious travelers and peace seekers. Gangtok, which is the Capital and the largest city, is India’s cleanest, spit-free, non-smoking zone and the first organic state in the world! The state retains a sense of belongingness and soothing ambiance. Stepping into this mountainous domain after an exhausting journey equals stepping into a paradise. Being the home to the docile community, Sikkim is safe even if you’re a solo female backpacker, an elderly couple, or newlyweds. Sikkim is outstanding in terms of natural beauty, cleanliness, hospitality, culture, and more as such. 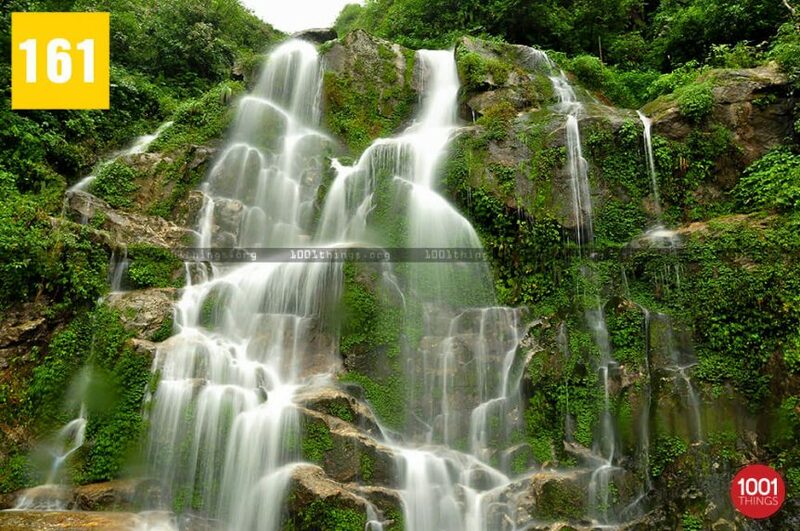 Being born of the majestic Himalayas, the state is the origin and abode of numerous waterfalls. 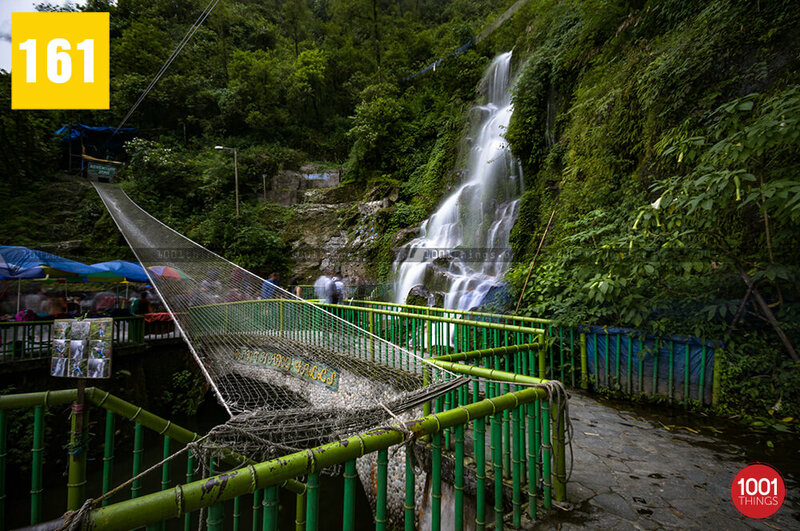 Bakthang Waterfalls in Gangtok is one of such, which seems bewitching as a ballet of an angel. 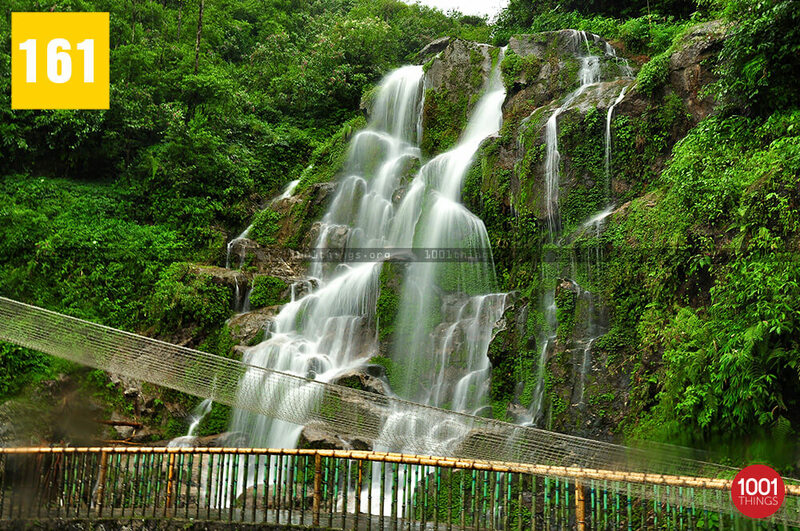 This utterly pristine and graceful waterfall is located on the way to Tashi View Point which is about 3 km from Gangtok. Originating from Ratey Chu, this moderately tall waterfall earns attention due to its wide width. 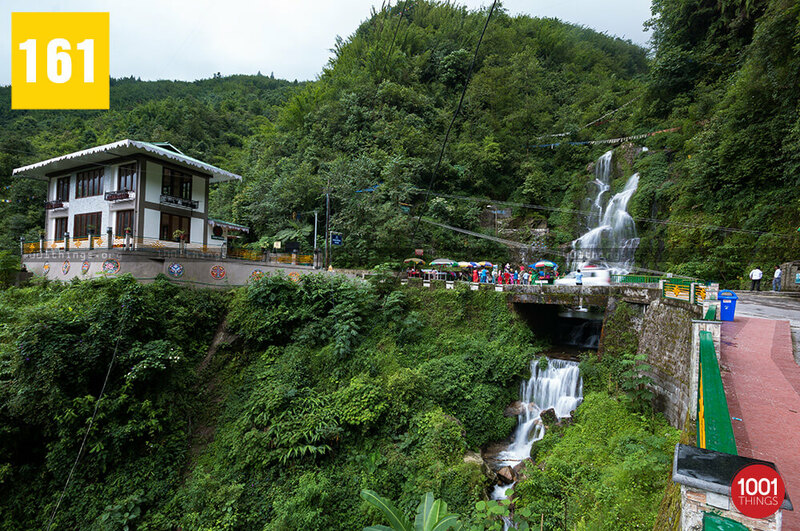 Cascading over a backdrop of greens, Bakthang Waterfall in Gangtok is worth a visit. While observing its spectacular charm, every single visitor will be compelled to take out a camera. Additional amusement activity in this place is rope sliding which requires a few minutes. So, if you’re craving for a thrill and an element of an adrenaline rush, then don’t wait for a second thought. There is a cost of 100 INR to be a part of this thrill amid the enchanting Himalayan backdrop. However, no fee is applicable for visiting the Bakthang Falls Gangtok. Located far from the bustle of the city life, you can enjoy the fresh-pollution-free mountain air here. Monsoon or post-monsoon is probably the best time to visit Bakthang Falls in Gangtok. The reason is that monsoon downpour acts as the blessing by adding volume to the flow of the water making it even more enchanting. For the convenience of the visitors, the area is equipped with washrooms and there are food stalls close to the falls. You can grab a bite or a cup of freshly brewed tea plucked from the organic tea gardens of Sikkim. So, if you’re driving through North Sikkim Highway, make sure to stop by Bakthang Waterfalls plunging down at the roadside. 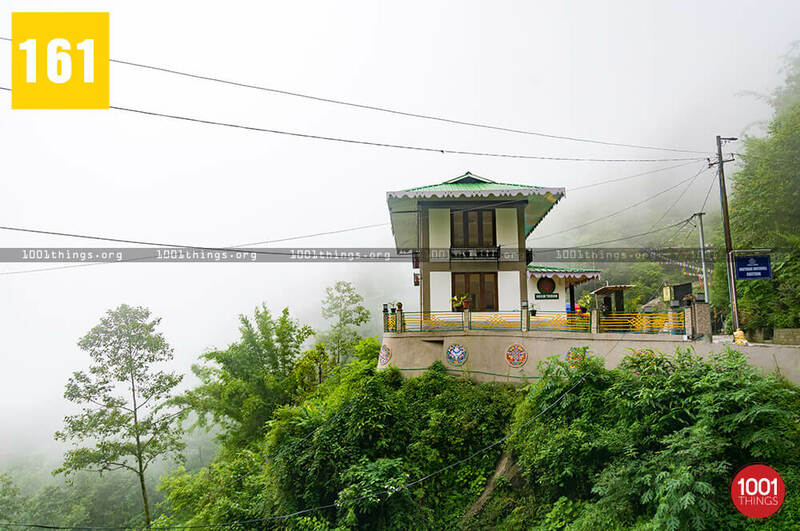 If you plan your own itinerary, then add this place into your one day Gangtok tour itinerary.